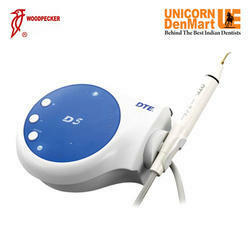 Leading Distributor / Channel Partner of woodpecker d5 non optic scaler, woodpecker d5 led scaler with optic handpiece, d-3 scaler with led handpiece, d-3 woodpecker scaler with non-optic handpiece, nsk varios 570 scaler and woodpecker d-7 led scaler from Delhi. We are offering Woodpecker D5 Led Scaler to our clients. 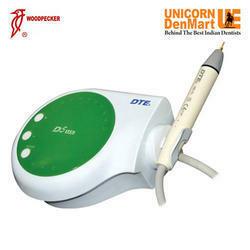 Unicorn Denmart is offering D-3 Scaler With LED from the renowned brand - WOODPECKER. Designed by using sturdy components and latest technology, this scaler is highly ensured for its good functionality. Moreover, its compact size and table top design allows the user to use it or place it easily without any hassle. 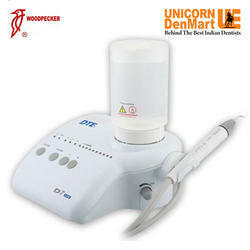 Buy D-3 Woodpecker Scaler With Non-LED Handpiece from Unicorn Denmart and trigger your dentistry to move with efficiency. Offered at highly competitive rates, this scaler makes the scaling process completely stress free as it is equipped with light weight Titanium hand piece. In addition to this, its Easy Power Selection makes the process of supra & sub gingival scaling to take place conveniently. 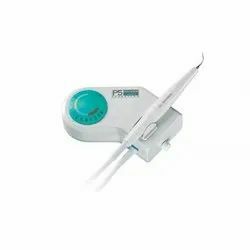 Offered NSK Scaler is a compact unit which has versatile functions with large power dial and clear indication. Furthermore, its large water volume knob helps you to make easy, comfortable and patient-friendly power and water supply adjustment. We are offering Woodpecker D7 Scaler to our clients. 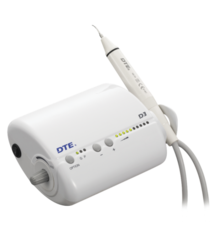 Works on 3 modes: Scaling, Perio Endo. 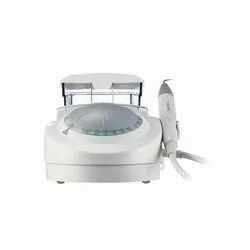 By utilizing the Piezo-Ultrasonic Technology, the powerful and compact P5 Booster removes deposits with increased patient comfort and reduced operator fatigue – all in less time. 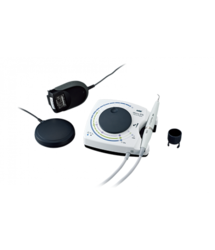 With linear and controlled vibrations of a Piezo-Ultrasonic generator, P5 Booster is gentle at patient tooth and does not erode the enamel leading to post-operative comfort no sensitivity problems. 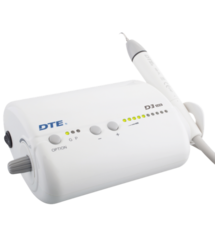 No heating handpiece, for better comfort for the user.